Yesterday, for someone as fashion obsessed as I, was the kind of day you can only dream of. As a chubby kid I would beg my nanna to make me clothes so I could dress like my friends, as a teenager and into my twenties, I just wanted to be up to date with all the latest trends. A lot has changed in the past ten years, the plus size industry has come on leaps and bounds, don't get me wrong, there are still leaps and bounds to be exercised, but things are definitely changing. 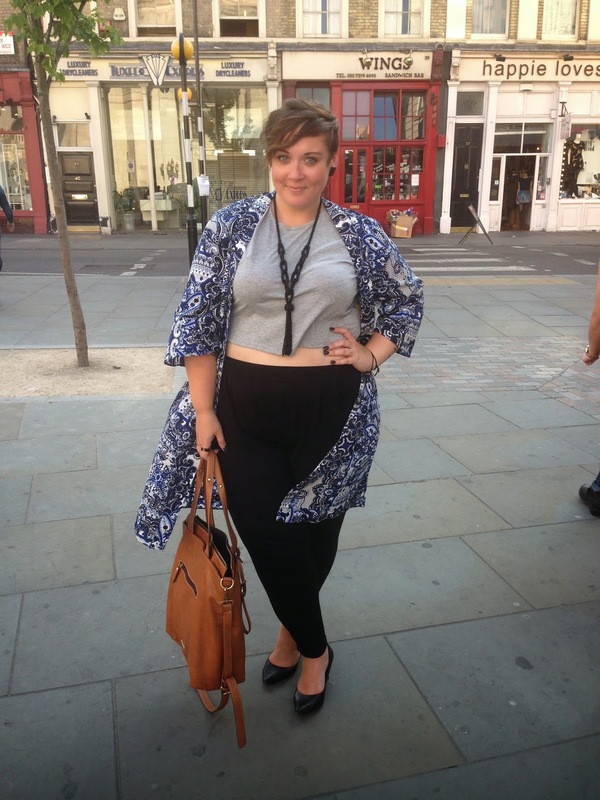 Yesterday, for me, was a monumental moment in plus size fashion. The Evans Collective SS15 show was nothing like I've ever seen in plus size fashion before, above are just a few of the wonderful designs showcased, you can see a full gallery on the Plus Model Magazine website. I was completely blown away by the show to be honest, the colours, bold prints and textures were so amazing. I'll leave it there, and let the images do the talking. Safe to say, for me, this is more of a gust of fresh than just a breath. So of course, what does one wear to an event of such excitement? Well, the lovely folks at Evans sent me a voucher to chose something from the site, I ordered a gorgeous lime kaftan style top, but then just before the event this gorgeous kimono jacket came back in to stock that I've had my eye on, so I went ahead and bought it for myself instead! 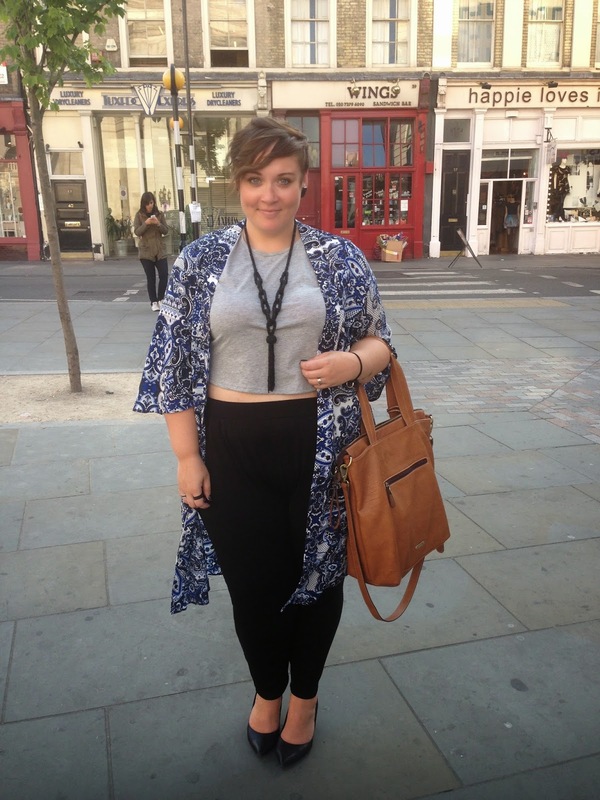 I will of course blog the top in the next week or so, but here's what I did wear! It was crazy hot in London, so I was glad of my outfit choice, I managed to stay shade less than fully melted thankfully. I'm wearing the Pinkclove jersey peg leg trousers, a crop top from the main ASOS range and the Evans longer length kimono. Hello, is the Evans Kimono true to size? Thanks!